The task before the first Aurovilians was to reclaim the eroded land and plant the seeds of the future. In the endless progression of Auroville, we are all pioneers continuing the adventure! “Auroville will be the site of material and spiritual researches for a living embodiment of an actual Human Unity”. The City of Dawn's high aspiration incarnates the deep sense of what we can live and be. “One must have heroism to be a precursor for, generally, men have faith only in what is already accomplished ... These words carry great relevance for the manifestation of a new world, and of Auroville! The Matrimandir is Auroville's most valued creation, and it is cared for with dedication and courage! 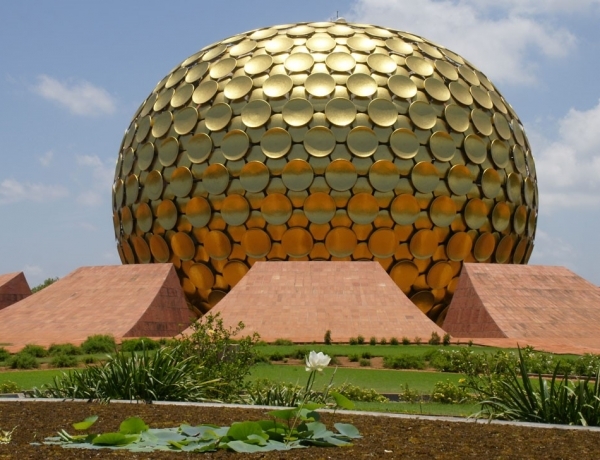 The Mother wrote: “Let the Matrimandir be the living symbol of Auroville’s aspiration for the Divine” – “manifesting in a progressive human unity”. A few days before the inauguration of Auroville, the Mother “perched on a low stool and armed with a huge black felt-pen” started writing the Auroville Charter. A unique document in earth's history, it has given a new challenge to the human spirit - and the challenge of building a unique universal town for this unique, visionary charter. Throughout history, attempts have been made to create a new model for human life. Most have proved to be short-lived or limited in scope. But Auroville - The Mother’s City of Dawn – has stood the test of time, continuing to grow with richness and vibrancy. 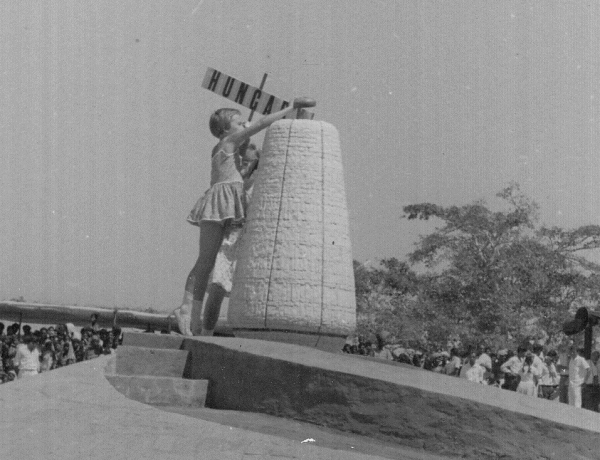 In this 50th year, we salute Auroville and remember The Mother’s wish for the land, Auroville's material body! August 15th holds a distinctive place in human history. 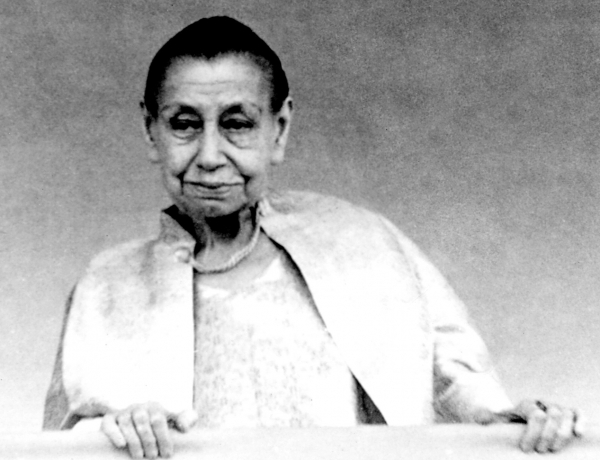 On this date, Sri Aurobindo took birth 146 years ago and 75 years later, India attained her freedom on the same date. And it is India that hosts Auroville and its role of pioneer in opening the collective consciousness to the truer consciousness. The Mother wrote that “Spiritual beauty has a contagious power”. As Auroville grows and manifests, a higher beauty will surely spread - through the spiritual power at work behind the City of Dawn. Auroville is not just any place on the planet - it is a consecrated space for the growth of a truer consciousness. For 50 years, starting with barren soil, Auroville has created beauty where before there was none. 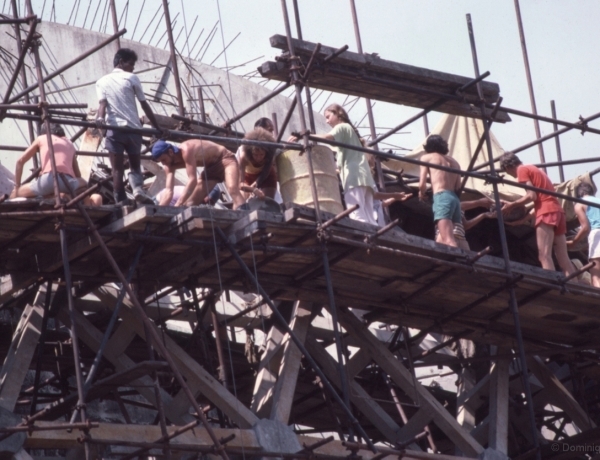 Much of Auroville’s designated land – the material base for this work and beauty - is missing and at risk of being bought and used for private profit. The future of many missing plots is now up to us - together, we can make a difference! In this landmark month of Febrary 2018, we remember the great vision and events behind the creation of Auroville 50 years ago this month. The Mother emphasized land as The City of Dawn's essential material support in its role for a new world consciousness. This month marks two highly significant dates – the 50th anniversary of Auroville’s inauguration as The City of Dawn and the 140th anniversary of The Mother’s birth. These events are not separate – Auroville is the manifestation of The Mother’s vision and work. 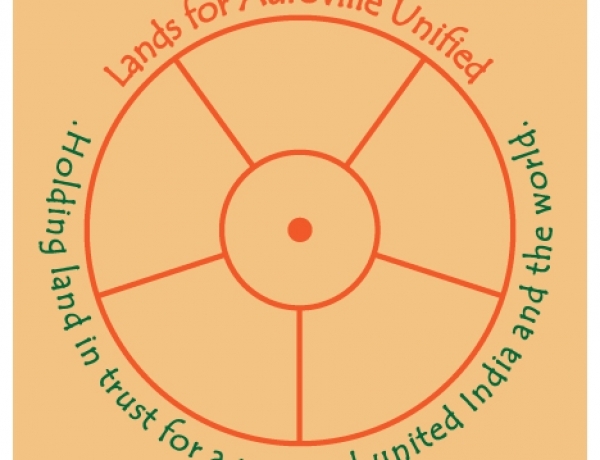 Here is her vision for Auroville and for the advent of a new world.